Proceeds would be returned to U.S. citizens. In their well-intentioned effort to reduce greenhouse gas emissions that cause climate change, the French government announced it would increase fuel taxes to discourage driving and encourage low-carbon transportation. It did not go over well. 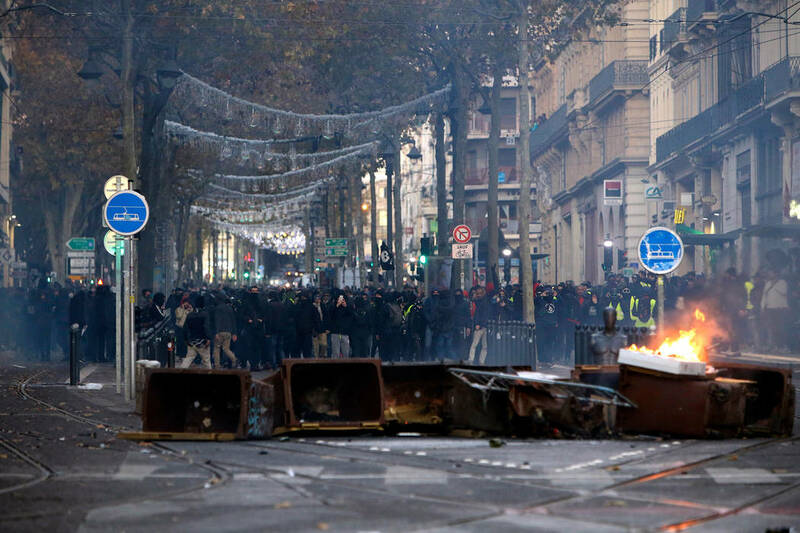 Violent demonstrations erupted in the streets of Paris and in other French cities, forcing the government to delay for at least six months the tax hike. The protests raise concerns about a public backlash against fuel taxes specifically and carbon pricing in general, and that’s a huge concern. Putting an effective price on carbon is perhaps the most important tool for reducing the heat-trapping emissions that will inevitably cook our goose in a business-as-usual scenario. If nations feel they need to set that tool aside, the world has little to no chance of meeting the emissions reduction targets necessary to avoid the worst consequences of climate change. Fortunately, there is a solution that can calm people’s fears about the financial repercussions surrounding carbon pricing policies: Give the revenue to people. Late last month, a bipartisan group of lawmakers in the U.S. House introduced legislation to place a fee on carbon and allocate all revenue to households in the form of a monthly dividend. Under the policy outlined in their bill, known as the Energy Innovation and Carbon Dividend Act, a majority of families, particularly low- and middle-income, will receive more money from the “carbon dividend” than they would pay in increased costs associated with the fee. The bill is sponsored by Reps. Ted Deutch, D-Fla.; Francis Rooney, R-Fla.; John Delaney, D-Md. ; Brian Fitzpatrick, R-Pa.; Charlie Crist, D-Fla.; Dave Trott, R-Mich.; and Anna Eshoo, D-Calif. The sponsors who are returning in the 116th Congress say they intend to reintroduce their bill. As bipartisan support continues to grow, their legislation stands a good chance of moving forward. Starting at $15 per ton of carbon dioxide and increasing $10 per ton each year, the Energy Innovation and Carbon Dividend Act will push the price of carbon to $100 per ton within a decade. Such an ambitious price will achieve at least 40 percent emissions reductions within 12 years. The bill targets 90 percent reductions by midcentury. The steep rate of increase sends a strong signal to the market that will accelerate the transition, already under way, to a clean energy economy. Such an ambitious price would not be possible without returning revenue to households. In fact, a study of this policy from Regional Economic Models Inc. found this approach would actually add 2.1 million jobs to the economy in the first 10 years. Climate scientists are clear that to avoid the worst impacts of climate change — coastal cities underwater, food shortages, more extreme weather and flooding, mass migrations, unbearable heat waves — society must dramatically reduce its carbon dioxide emissions. That message was delivered most recently in the fourth installment of the National Climate Assessment, as well as the Intergovernmental Panel on Climate Change’s report earlier this fall. The IPCC report specifically mentioned carbon pricing as a way forward to effectively reduce emissions and stabilize our climate. The average daily temperature at McCarran International Airport has increased by four degrees over the past 40 years, increasing Las Vegans’ electric bills. If midsummer temperatures at McCarran climb too high, airplanes and tourists will not be able to fly. Global warming will further decrease water levels in lakes Powell and Mead through greater evaporation. The IPCC has warned that time is running out for the world to take steps to ward off climate catastrophe. If the rioting in France keeps nations from implementing a price on carbon, catastrophe is assured. But with the Energy Innovation and Carbon Dividend Act, U.S. lawmakers have provided a model that can calm anxious citizens. By returning revenue to households, nations can implement carbon pricing in a way that is good for their people and good for their economies. Mark Reynolds is executive director of Citizens’ Climate Lobby. Jerry King is a member of the group’s Las Vegas chapter.